High quality land-based training courses, ScJ Training is Lantra and City & Guilds registered. This means that we are able to meet all your land-based training and assessment requirements. 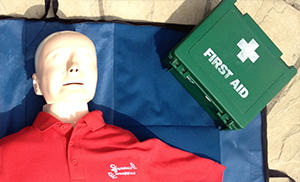 ScJ Training is able to deliver a complete range of First Aid Courses to suit your needs, be they in the workplace, voluntary sector or because you feel that you should have some form of First Aid Training. 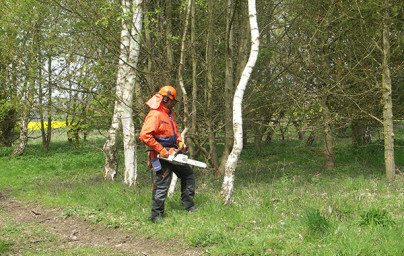 ScJ Training offer a full range of chainsaw and related courses whether you are new to chainsaws or a professional user we have courses or refreshers to suit your requirements. ScJ Training offer a full range of Health and Safety related courses delivered by instructors that hold a minimum of the NEBOSH National General Certificate and have experience of working in fields where Health & Safety is paramount. Whether you are looking to further your qualifications or simply to learn how to complete Risk Assessments our range of courses should suit your requirements. 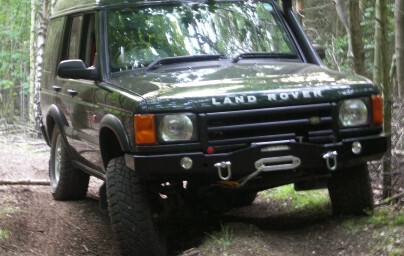 ScJ Training offer Training and Assessments in Off Road Driving and Winching Operations. Whether you are an experienced operator or would like to learn more about off road driving and your vehicle we have courses to suit your requirements. The First Aid Requirements Calculator is an online assessment tool that allows you to simply and accurately calculate how many first aiders you need and the level of training they require. Please click the ‘Read more’ button below to link you directly to the Calculator. ScJ Training is based in East Yorkshire and prides itself on the personal service it provides to clients, ensuring that everyone feels part of the ‘Royal We’. We provide training to both individuals and businesses, either at your premises or our sites depending on the type of course and your requirements. Why not open up exciting new opportunities and careers by doing training with us! ScJ Training offers a wide range of accredited courses through Lantra Awards, City & Guilds (NPTC) and Qualsafe Awards. 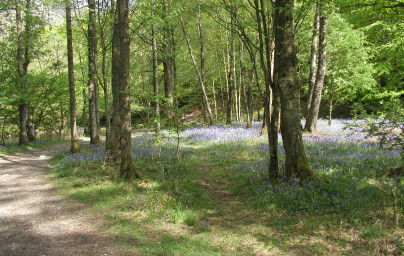 We specialise in Ground Based Chainsaw courses, Forestry & Arboricultural Machinery, Off Road Driving & Winching, Health & Safety and First Aid at Work courses. We don’t clock watch or try to round off training as quickly as possible. Our instructors are there for your benefit and won’t leave until the necessary training is embedded and you are totally satisfied. Have a look at our courses and see how you could further yourself by opening up new and exciting opportunities in the future. ScJ Training can arrange your complete training package including assessments either at your premises or at suitable sites depending upon the type of course and your requirements. We only use Lantra Awards, City & Guilds (NPTC) or Qualsafe Awards approved instructors / assessors to guarantee the quality of your training experience. All courses and assessments are fully insured either through Lantra Awards, City & Guilds (NPTC) or through our own bespoke training insurance. We have a wide range of courses on offer which are all listed on the site however should you not see the course you require please do contact us and we will see if we can provide the course for you. We hope you enjoy looking through our website, testimonials and blogs. This website is designed to assist you through the whole training experience and has many useful links as well as sections where you can download relevant industry guidance. We have international clients that use our services because we go that extra mile to meet their needs. Our training is second to none and can help you realise your full potential. Ever thought about becoming a ‘Smoke Jumper’? One of our clients has! For further information or to discuss your training requirements please contact us. 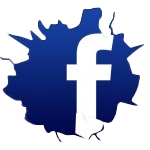 Please click above to join us on Facebook, like and share our page. Sam covered all aspects of the course in detail and answered any questions that was asked. Excellent service. Very Professional, would recommend. –T. Austin - Qualsafe Awards - Emergency First Aid at Work Course. Very approachable. Very clear + understandable. Very Friendly. –M. Braim - Qualsafe Awards - Emergency First Aid at Work Course.